Conrad Blucher Institute Develops Mobile App to Increase Navigational Safety along Nation’s Second-Largest Port. 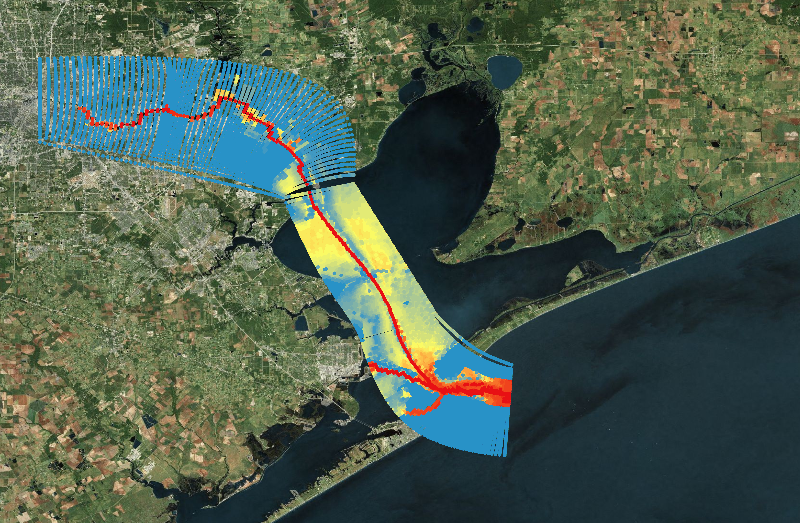 Researchers have designed and are implementing a new mobile application to provide ship captains and pilots with real-time predictions of ocean water levels and currents along the Houston Ship Channel, which services the second-largest port in the United States, the ports of Houston and Galveston. The app will provide invaluable information, which could increase navigational safety along the ship channel by reducing the number of ships becoming grounded due to insufficient water depth, and help reduce the number of vessel collisions. The “Transit Time!” Mobile App (http://apps.proto.cbi.tamucc.edu/transit), now available for mobile devices, smartphones, and desktop devices, will benefit the commercial navigation community, while future planned extensions of the app will help a broader base of coastal users. The Houston-Galveston Ship Channel, part of the second largest port by tonnage in the U.S., is used by more than 700 vessels daily, according to the U.S. Coast Guard. And, although Houston pilots use a commercial system to help them navigate through the port, most ships traveling in the Houston/Galveston ship channel are tug boats and barges with more than 128,000 transits each year. Many of these tug boat captains do not benefit from the current commercial navigation system. Sophisticated models that illustrate the mapping and charting of the ocean’s topographic features are run several times daily by the National Oceanic and Atmospheric Administration (NOAA), Center for Operational and Oceanographic Products and Services (CO-OPS). For example, Tissot says ”Transit Time” combines modeled and real-time data with the speed and position of the user’s mobile device to predict water levels and currents along the ship channel up to five hours in advance. Factors such as tides, currents, and wind can contribute to incidents, and add to fuel consumption and a longer transit time. The mobile app can also help determine if larger ships have enough clearance to make it through the ship channel. The Transit Time! Mobile App for Houston/Galveston PORTS was developed through collaboration between the Texas A&M-Corpus Christi Conrad Blucher Institute (CBI) and the NOAA CO-OPS. Dr. Tissot and Scott Duff, Assistant Director for IT Operations at the CBI, led the project with programming conducted by students, Julien Clifford, Francesca Picarazzi, and former student Cristián Romo. 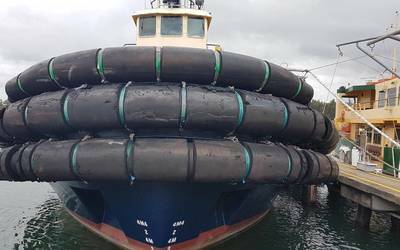 While created for the Houston/Galveston ship channel, the application is in the process of being implemented for Chesapeake Bay, Va., and is designed to be used in other PORTS locations around the United States. “We have been developing a strong relationship with CBI over the past 20 years and these collaborative efforts can serve as a model for other state and federal partnerships” said Richard Edwing, director of NOAA CO-OPS. CBI and CO-OPS began collaborating in 1988 when CO-OPS entered into an Agreement with the Texas General Land Office and the CBI to establish a network of water level stations installed and operated following NOAA standards, making Texas the first state to establish such a network. CBI also manages several coastal observation systems for NOAA including the Houston/Galveston and Sabine PORTSÓ (Physical Oceanographic Real Time System) as well as NOAAs National Water Level Observation Network (NWLON) stations in Texas.